From web designing to graphic designing to web development, nowadays lots of freelance works are accessible tremendously. In today’s world better technological facilities are blended with rising requirements for temporary and part-time works, which signifies many number of employers are obtaining their skills and also starting their careers as specialized freelancers. You’re certainly going to find out huge freelance openings on some of the best freelance websites. But when you have your portfolios on these websites and looking for opportunities, you should never lessen your standards, and after sometime clients will begin looking for you in order to hire you. 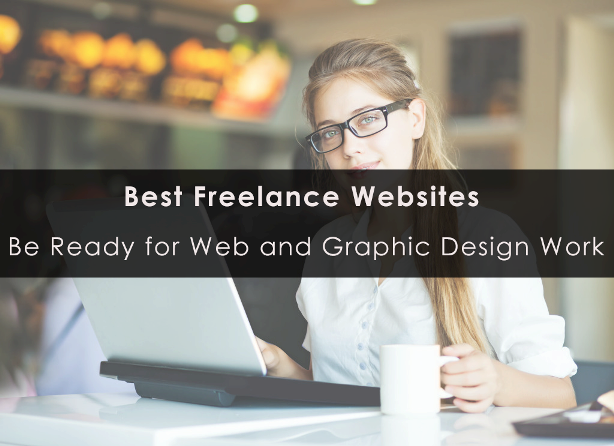 We’ve listed here 10 excellent freelance websites that will help you execute web and graphic design works of clients, and earn good bucks. You can register for free on Elance.com website where you can easily come across appropriate blend of hourly as well as fixed price works. You will obtain 40 connect points per month, as you can utilize these points for sending proposals; endorse them, though they costs points. While using Elance actively, you have to acquire $10 per month plan or may be more to be noticed high in your search. For every project that you finish, Elance will be charging you 8.75% service fee. You can send 20 proposals per month for free [that is, 2 points per proposal]. Freelancer.com is another proper freelance website for you earn money by working on graphic designing and web development works. You can register for free and also put forward 8 bids per month. You will get numerous projects to work that are related to modern website designs and this site is very helpful, and can be easily used. You need to make payment of 10% service fee along with $0.30 USD and also 2.3% [withdrawal fee]. oDesk.com site includes free registration, no paid member, and safe place to get payment. You can effortlessly search for hourly and fixed priced projects. While accepting fixed priced projects, you need to be extra cautious as their contracts are not put by oDesk guarantee. You can easily begin your graphic and web works with the clients you get attached to. You can even tell your clients to place money on Escrow before starting your project. Known to be the most popular freelance platform, 99designs is based on interesting contents which represents that if your design is selected as a winner, then only you will get payment. You can begin your web design career, and achieve experience too. You can find many innovative jobs for students even such as logo design, graphic design, web design and product design jobs on this site. After winning the first contest, you can execute on next project 1-on-1 along with your clients for good prices. This is a superb place to search out interesting web designer jobs, graphic designer jobs, WordPress jobs, and web developer jobs. You can register for free and do bidding on 15 projects for free every month. Beginners can start with ‘hourly’ part time jobs and get experience. MicroLancer renamed as Envato Studio now, is a remarkable platform for searching freelance jobs related to web designing and graphic designing, etc. They have the ability to handpick designers for sustaining its quality and also a suitable demand ratio. One can earn extra income with rapid pouring of web design and graphic design projects. The short-term projects can be completed in few hours time or within 7 days. The focus of this platform is basically on the web designers, graphic designers and web programmers. They will be asked for $27 per month subscription for working with their clients straightly on quality basis. They can be provided with customer support. On completing your work, you will be paid by your clients, and there is no need of safety. This freelance platform provides you with brilliant support and quality services. You can earn additional money as income and also be valued as a professional expert. Interaction between you and your client will be kept personal. Codeable will acquire 15% fee from your each freelance project when you finish it. The Creative Group freelance job website offers its professionals with graphic design, web design, and many more related projects. You can grab full-time positions and also contract-to-hire to earn money. You can even use freelance filter for narrowing down your search. The web developers and graphic designers can find great works across the world through Aquent freelance online platform. You can select from on-site or remote opportunities, or find for contract-to-hire-positions, and gain proper income. Hence, you can make your portfolios on the above freelance sites, and grab the best freelance works, and get going! Kristin completed her degree in technology with good grades and loves to share information on web technology. She recently joined edugeeksclub professional proofreading service as team lead tech writers.